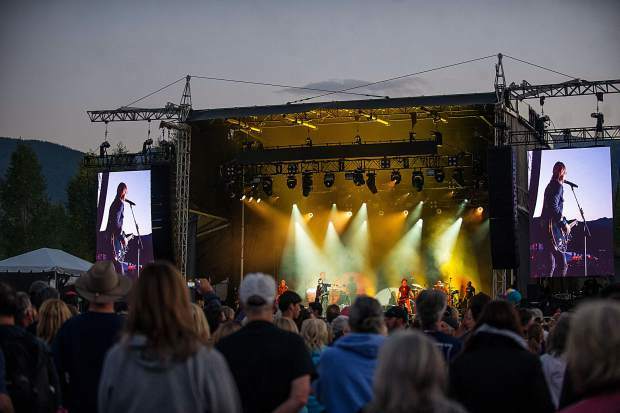 Keith Urban singing at the JAS Aspen Snowmass Labor Day Experience on Saturday night. 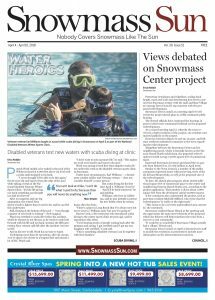 John Oates of Hall and Oates playing guitar at JAS Aspen Snowmass Friday night in Snowmass. 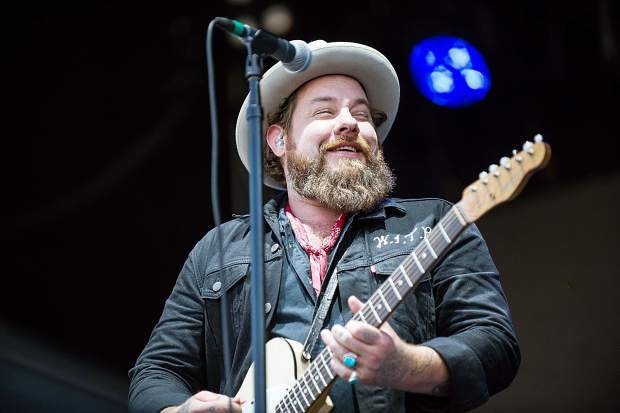 Nathaniel Rateliffe smiling and the Night Sweats performing at the JAS Aspen Snowmass Labor Day Experience in Snowmass on Saturday. 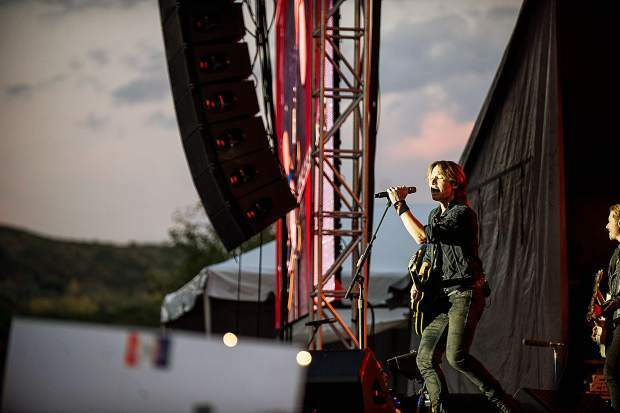 Keith Urban performing at the JAS Aspen Snowmass Labor Day Experience on Saturday night. 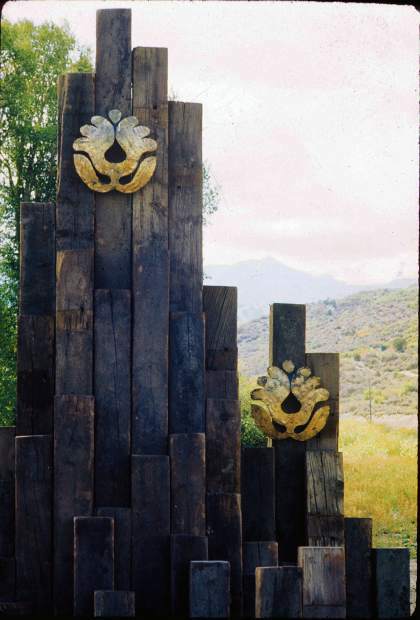 The large crowd for JAS Aspen Snowmass Labor Day Experience on Saturday. 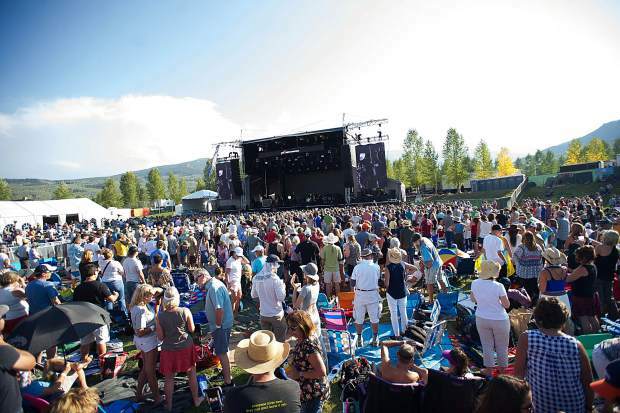 Daryl Hall of Hall and Oates playing guitar and singing at JAS Aspen Snowmass Friday night in Snowmass. 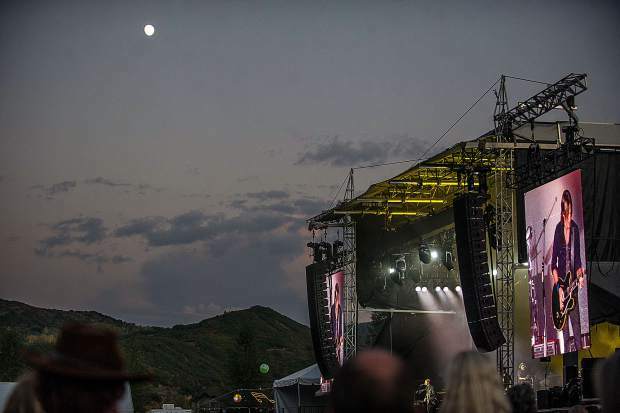 The moon was high and bright during Keith Urban's performance at JAS Aspen Snowmass Labor Day Experience on Saturday. 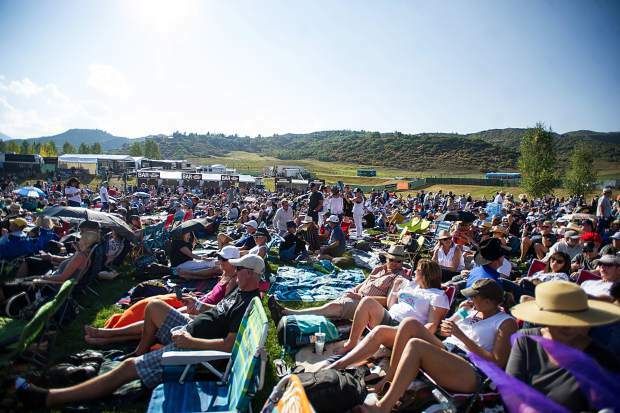 The crowd beating the heat Saturday in Snowmass for the JAS Aspen Snowmass Labor Day Experience concerts. 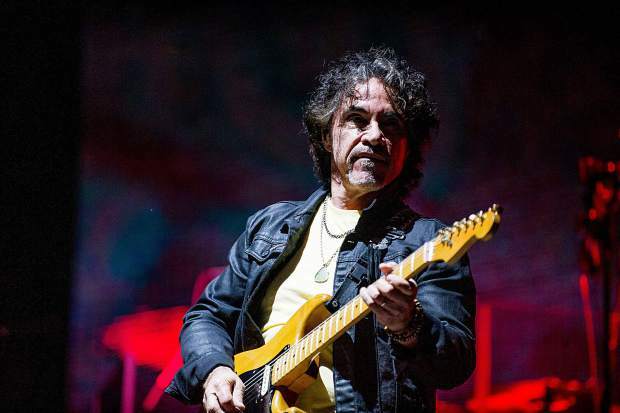 John Oates bade a fond farewell to Aspen on Friday night, finally headlining the Jazz Aspen Snowmass Labor Day Experience after living here for 25 years, and playing his longtime hometown for the first time with Daryl Hall. The gentle teasing kicked off a crowd-pleasing and at times emotional 90-minute set from the Rock and Roll Hall of Famers, playing with a tight and tour-tested six-man band, that mixed all the Hall & Oates hits with some tender moments. 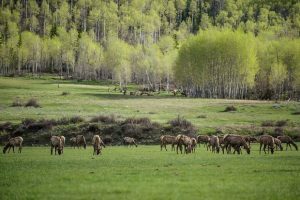 Maybe you had to be there, but Oates’ rendition came off like a heartfelt goodbye to this mountain town — a sort of break-up song for Aspen. For locals, nothing was going to top that moment. But high points from the rest of the set included an extended jam on “One on One,” featuring one of a handful of center-stage solos from longtime Hall & Oates sax player Charles “Mr. Casual” DeChant, who wore a Gandalf-length mane of gray hair and a gold-spangled jacket. A fired-up Hall turned “I Can’t Go For That” into a rabble-rousing protest anthem. I don’t know if any protesters will sing this Hall & Oates classic from the ’80s as they march on Washington, but if anybody is going to lead that charge, it’s Hall, who has morphed through the decades into a feather-haired Muppet of a man, wearing a perma-smile and sunglasses through this memorable night. He and Oates still know how to show a crowd a good time. Their encore ­— ripping through “Rich Girl,” “Kiss on my List,” “Private Eyes” and “You Make My Dreams” — sure did. 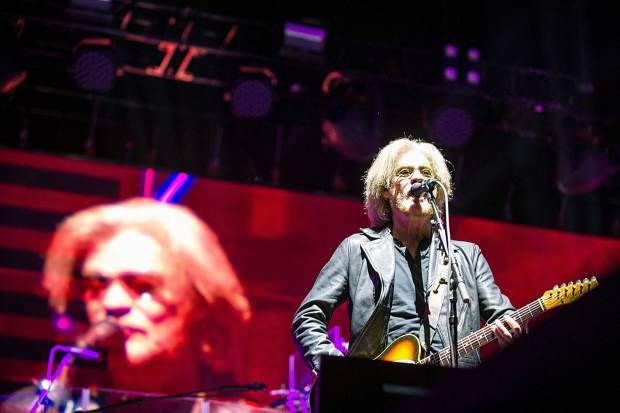 The rest of the three-day festival cut a wide swath of pop music, with doses of country, rock, hip-hop and some surprises. Keith Urban’s headlining set Saturday night filled two hours with his ear-wormy pop country songs and proved that guitar rock isn’t dead — we just call it country these days. It was a thoughtful set: Urban ad libbed lyrics about Colorado and did an impromptu, genuinely gorgeous, cover of John Denver’s “Take Me Home, Country Roads;” he gave a shout-out to locals Jack and Stephanie Wheeler and gave Aspen some serious showmanship. During “You Look Good in My Shirt” he ran into the crowd and performed from a mic stand far out in the general admission section, and handed off his guitar to a fan. 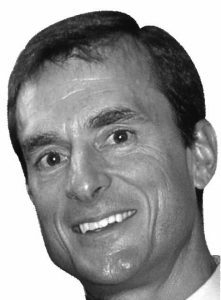 Despite all that, it’s hard to stomach some of Urban’s lyrics. “John Cougar, John Deere, John 3:16” sounds like it was written by an algorithm generating country music cliches (to Urban’s credit, he did not write it). 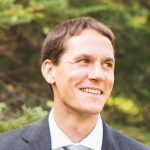 On Saturday, while he played it, a video screen behind him ran footage of sunlight pouring through stained-glass church windows. And his “Cop Car,” a sweet and stupid little ditty about falling in love while in police custody, these days is an obscene anthem for white privilege (again, Urban didn’t write it, so don’t blame him?) that he should take out of the rotation. So, yeah, Urban put on a heck of a show. But some of these songs are indefensibly crass. Also on the honors list for showmanship this weekend: Maroon 5. The first 40 minutes of the band’s festival-closing set Sunday night was a master class in pop stardom. Singer Adam Levine and his band tore through nine songs off the bat without a break or seemingly a missed note (some very high notes from Levine included). Playing over the squeals of the youngsters in the sold-out crowd, they opened with “Moves Like Jagger” and hit “Locked Away,” “Misery,” “Animals,” “Lucky Strike” and other hits one after another (they are all hits somehow; go to a Maroon 5 show and you realize anyone on planet Earth with ears must know all of theses songs somehow). After they took a breath and Levine introduced the band, they played “Payphone” with a nice a cappella arrangement that offered a change of pace from their slick pop and rock hit parade. Bands further down the festival bill put on some of the best shows of the weekend. 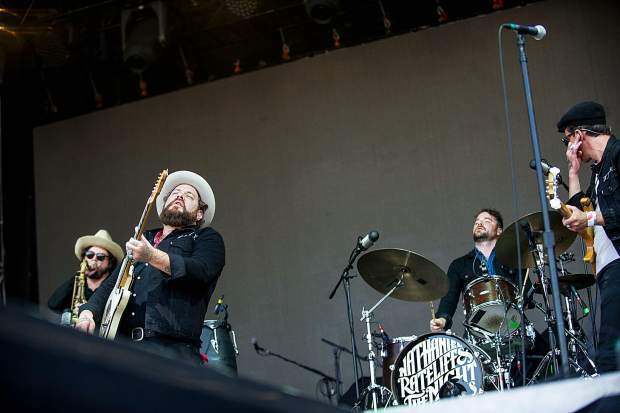 Nathaniel Rateliff & The Night Sweats, regulars at Belly Up but making their debut at Jazz Aspen, impressed the big crowd Saturday. There isn’t a single new thing in Nathaniel Rateliff’s bag of tricks. But man, is he good at these tricks. Rateliff and his seven-piece band play rock and soul revival music that brings in old styles from boogie-woogie piano to wailing Southern rock. The burly and bearded Rateliff makes a charming frontman — whether he’s singing in his often indecipherable Dylan-esque drawl, soft-shoeing around the stage or playing the tambourine (he smashed one to bits and tossed another two into the crowd), he’s in full command up there. As he proved Saturday, he can get a festival crowd singing along on a slow, sweaty ballad like “Wasting Time” or get them clapping along with an infectious bluesy party-starter like “I Need Never Get Old.” His fearsome band can do Leon Russell justice on a cover of “Delta Lady” and tear through The Band’s “The Shape I’m In.” And their “S.O.B.” — which has catapulted this band far beyond Denver in the past two years — with its insta-classic hum-along chorus, is the kind of anthem that people may be singing in stadiums some day soon. The Roots have had better days onstage than they did Sunday. But when Black Thought ran into vocal trouble, the band picked up the slack with an adventurous, mostly instrumental set that was heavy on improvisation. The 11-man Roots crew came out strong with Black Thought rapping on “Web,” a cover of War’s “Me and My Baby Brother,” and “The Fire” — with booming bass and the brass section wailing. They nailed old-school Roots songs “Proceed,” “What They Do” and “Next Movement,” with Black Thought sipping a mug of tea in between rhymes. But about a half hour into the set, his voice was clearly giving out. He stepped off stage and bassist Mark Kelley took over with an extended, virtuosic solo jam. Black Thought returned for truncated vocals on “Get Busy,” “I Got You” and a brief cover of Rick Ross’ “Trap Trap Trap,” but most of the last hour of this 90-minute set was left to the instrumentalists. 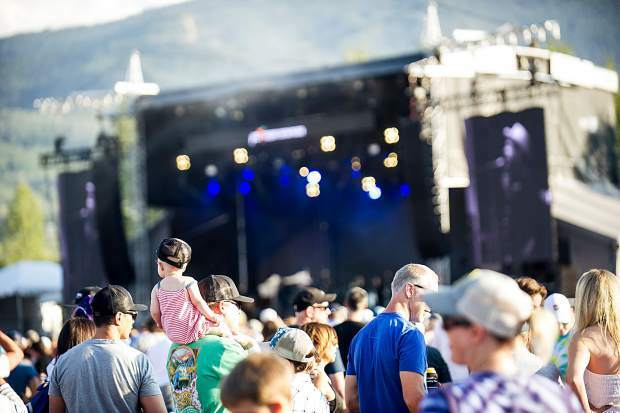 Lake Street Dive wowed the Jazz Aspen crowd with its throwback soul, ’60s-style rock and singer Rachael Price’s timeless, soaring vocals in the festival opener Friday evening. The band opened and closed with their best-known originals — “Bad Self-Portraits” and “You Go Down Smooth” — and certainly won over a lot of fans in-between with a spirited set that included sassy and brassy songs like “Bobby Tanqueray,” “Seventeen” and a stripped-down, stand-up bass driven cover of George Michael’s “Faith.” Lake Street Dive first got famous with inventive cover songs on YouTube, so it’s nice to see they are not too cool for them now that they’re breaking into the big time. It says a lot about the charm of this set — and the extraordinary talent of Lake Street Dive — that a brand new song, “Good Kisser,” previously unheard by most anybody in the crowd, was the highlight and a crowd favorite.